CDSRA will be conducting two IRT classes in October on the same topic (one during the week, one on the weekend). Please reserve one of the two dates below and plan to attend. Class will be held in the Gibson Room of the Scouts Canada Service Centre. Please find our calendar to find specifics. CDSRA would like to congratulate our members on a very successful outdoor season 2016 so far. CDSRA members were involved in both Youth Provincials in Calgary and Senior Provincials in Edmonton (Major League) and Calgary. Sunny Marshall also had a successful weekend in Edmonton two weeks after as he was assigned the Jubilee Cup Final (AMSL Women). Congratulations Sunny. During the same weekend, Raul Briseno had the honor of officiating the Mens Tier 1 provincial final in Calgary. Again, congratulations to Raul and his crew! If you have been involved in provincials this season or just have great pictures of your games to share we would like to encourage you to share it with us and we will publish them for the community! Because of popular demand, CDSRA equipment bags are available for purchase. Maria Marshall was able to find a small number of the same style adidas bags used in the previous order. They will be posted for sale on the website shop (cdsra.org) and will be $60 (plus transaction fee). Thirty four members came to last night's AGM where we discussed all matters CDSRA (budget, projections, executive positions, programs, etc.). It was great seeing everybody! We are happy to report too that the early-renewal program has surpassed our target of 75 members. Great job everyone! Now executive can focus on planning the year ahead and developing our training programs. As a side note, the early-renewal incentive program has now entered a three week transition phase. Any memberships purchased between now and April 30th will entitle the purchasing member to one CDSRA dry-fit for $15 (the free phase ended last night). April 30th, will be the final day for both the renewal incentive and the dri-fit ordering program. If one wants to order another dry-fit, please do so before month's end. Regular retail price of $25 applies to all additional purchases. Three of our provincial referees are headed to Dallas to participate at Dallas Cup. It is a great honour to be selected to this tournament and involves teams from all 5 continents. Good luck Sunny, Mike and Sebastian! Ever wondered what it's like to be a MLS referee? Ever wondered what it's like to be a referee?Daltonic Films and Major League Soccer (MLS) offer an in-depth look at one of the most difficult jobs in sports. We would like to congratulate our very own Drew Fischer on officiating the 2015 CONCACAF Men's Olympic Qualifying Championship Game between Mexico and Honduras. Drew has had an outstanding season as a first year FIFA referee and has been rewarded for his diligent work on and off the field. The news of your achievement has come as a great delight to all of us here. All of your hard work, commitment, and practice have paid off. Way to go Drew! CDSRA members awarded with CUSA Archivements Awards! This is awarded for the most outstanding contributions to the sport of soccer within Calgary and area. Congratulations to long-time member Mark Tyndale for this amazing achievement. Mark has been an active official in Calgary and area for numerous years. Available for league and tournaments. He has sat on CUSA Discipline Committee, taking the extra time to consider creative alternatives in some of the more unusual reports put in front of him. He has dedicated time to coach and mentor new officials as they learn the responsibility of the role. In his day job he is a key part of the local judicial scene. He is someone who believes that you must be an active contributing member to the community. For the past four decades, criminal lawyer-turned provincial court Judge Mark Tyndale would get up early on Tuesday mornings and drive to Canadian Blood Services to donate the gift of life, then proceed to work. This is presented for outstanding contributions that improve the refereeing community. Congratulations to long-time member Rob Urquhart for this prestigious award! Rob's tribute was written by long-time member, FIFA official and close friend Drew Fischer. He is an active instructor, having taught a number of entry level and refresher courses, in addition to offering regular instruction for CARD. Even more than instructing, Rob has been a prolific assessor over the past 3 years, including assessing at multiple Provincial competitions and two national competitions. In particular, his work with the 'upand-coming' officials has been second to none. He has formally assessed nearly every upgrade candidate in southern Alberta, but more than that has acted as a mentor countless times (really whenever one of them has asked). It's a testament to his contributions to their development, and his willingness to share his knowledge and experience, that a number of them regularly text, email and Facebook message him looking for advice and feedback. Kieran was the person most instrumental in pushing Rob into refereeing way back in 1994. They had a heated dispute about how the game should be refereed on the field in Vernon way back then and Kieran’s response was that if Rob knew so much about refereeing then he should take the course and prove it. Rob took him up on the offer and the rest is history. Once again, congratulations to both Mark and Rob on their awards! Your long-time contributions to the community, involvement in our association and mentor ship are greatly appreciated. Let's hope there is many years to come and we wish you all the best in the future. For pictures and a list of all recipients, visit the link below. CSA national championships in Calgary! This week, our city will be hosting the Jubilee Cup and Challenge Cup National competition. This is the highest level of amateur club soccer in Canada. Throughout the week, there will be a lot of games to watch and we will be posting the daily match-ups here. We would like to take the chance to congratulate the following CDSRA members on their appointments to nationals! Make sure to come out and support CDSRA members when Nationals are back in Calgary next week! Find the schedule here! Canada Soccer is pleased to announce the appointment of Isaac Raymond, FIFA Futuro III referee technical and fitness instructor, and national assessor, as new Manager of Canada’s Referee Department, effective immediately. In this role, Raymond will have the responsibility of working with the Provincial and Territorial Associations to manage the implementation of a development plan for Canadian officials that will focus on delivering excellence at all levels of the game. He will be instrumental in devising and delivering a clear pathway for officials’ development that compliments and is aligned with the Canada Soccer Player Pathway. 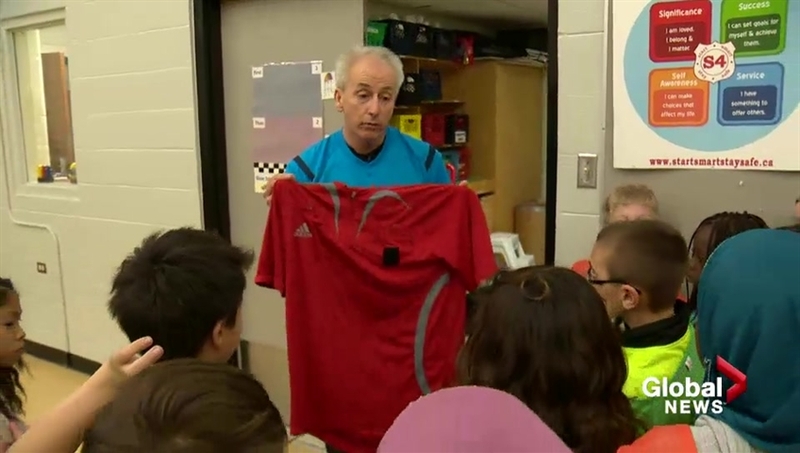 Before joining Canada Soccer, in addition to being a FIFA Futuro III referee technical and fitness instructor and national assessor, Raymond has served as District Referee Coordinator for the Toronto Soccer Association and was in charge of the Ontario Soccer Association’s Advanced Referee Training Program. He has also been a National List Official between 2005 and 2008 and represented Canada in various international, NASL, University Championships and Canadian National Club Championships throughout his career. Raymond will be based out of Canada Soccer’s Toronto office.